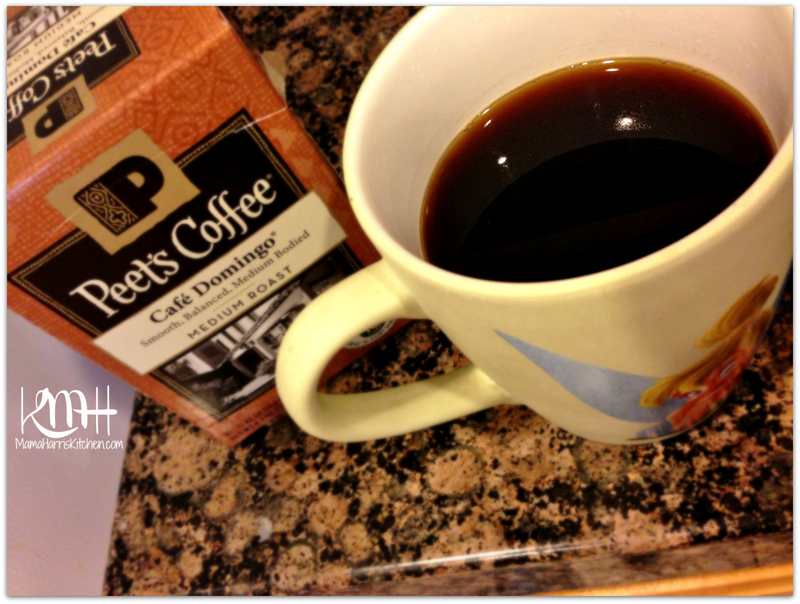 If you’re a coffee lover like me, then I’m sure you’ve heard of Peet’s Coffee. Peet’s Coffee began with a little coffee store in Berkeley, California that Alfred Peet founded in 1966. He started something of a coffee revolution by bringing something different, his coffee was made in small batches with fresh beans that was rich and complex. The Artisan coffee movement gained momentum and brought about a whole new style, much of what you see today. Today Peet’s Coffee has a large line of different roasts and flavors that originate from all parts of the world. Since I grew up in the Bay Area, I always get a strong sense of pride when I find out that a company or brand I’ve been familiar with my whole life originated from my area. This was the case again with Peet’s Coffee. 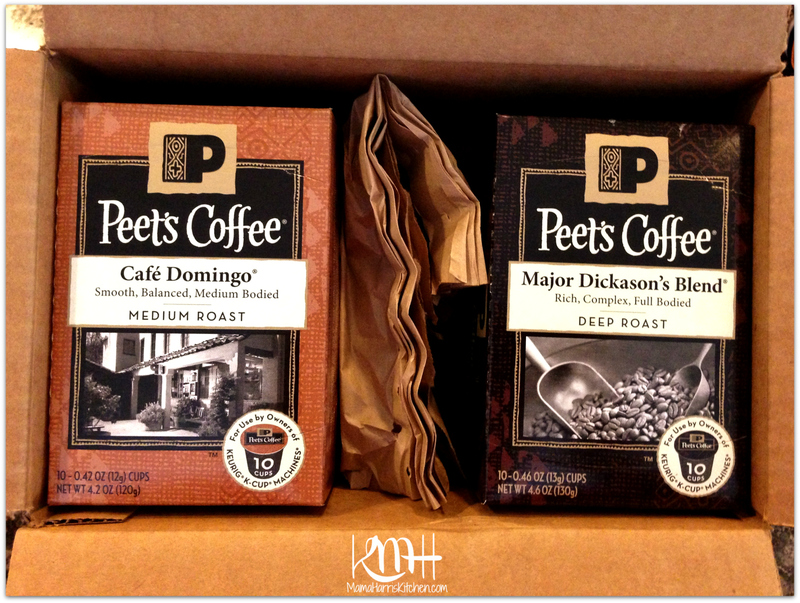 Recently I received a package from Peet’s, containing their newest product in two flavors. 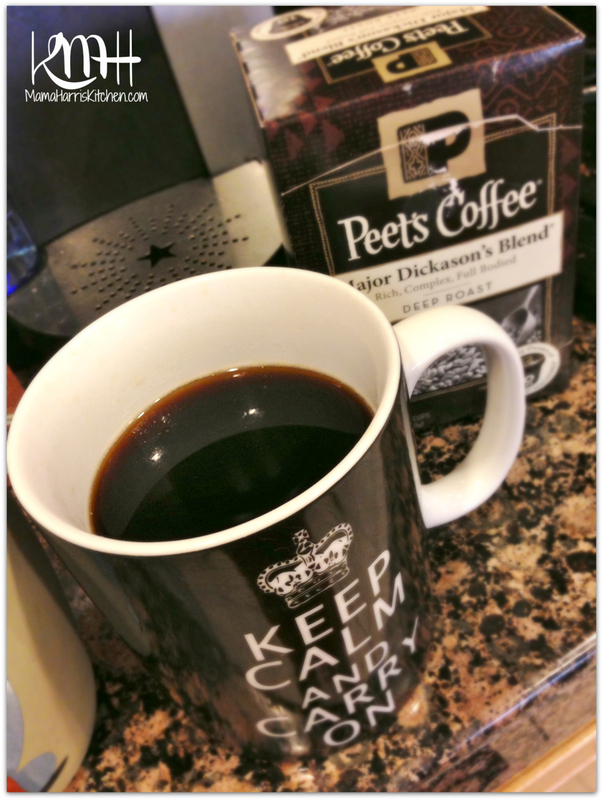 Peet’s has taken 5 years to perfect their recipe for single cup coffee brewers and now sells Peet’s single cups! The package I received contained two flavors. The first flavor I received was Café Domingo. 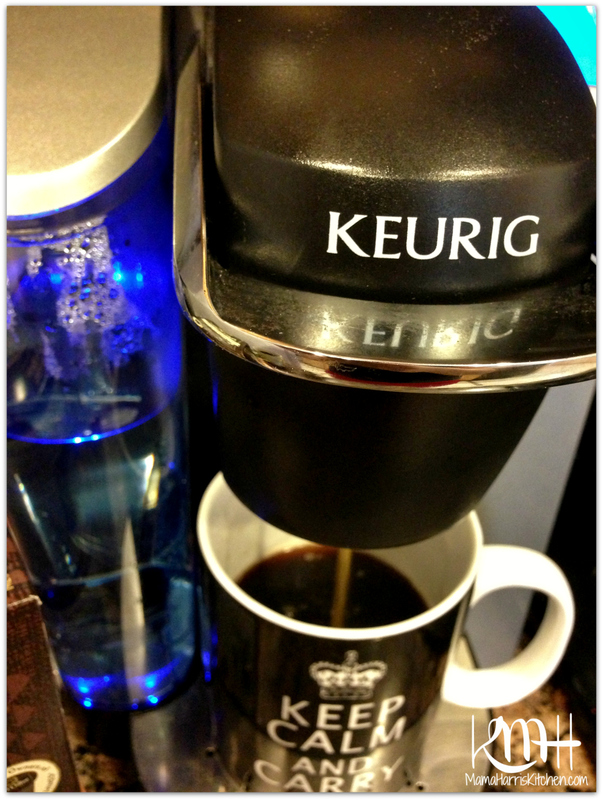 This is a medium roast blend crafted from three Latin-American coffees. This particular blend is smooth and balanced and said to have hints of toffee sweetness and a crisp and clean finish. The second flavor I received was Major Dickason’s Blend. This is Peet’s Coffee’s all-time best seller, it is rich, smooth and complex, full-bodied and multi-layered. Me, being the coffee lover that I am, I couldn’t wait to get started on tasting these two! They both sound delicious and unique. The first flavor that I couldn’t wait to get my hands on was the Café Domingo blend. I typically prefer a medium roast over dark, and I love that it has the sweet hints of toffee in it. The first thing I noticed while it was brewing was the amazing smell! I couldn’t wait to get a taste. 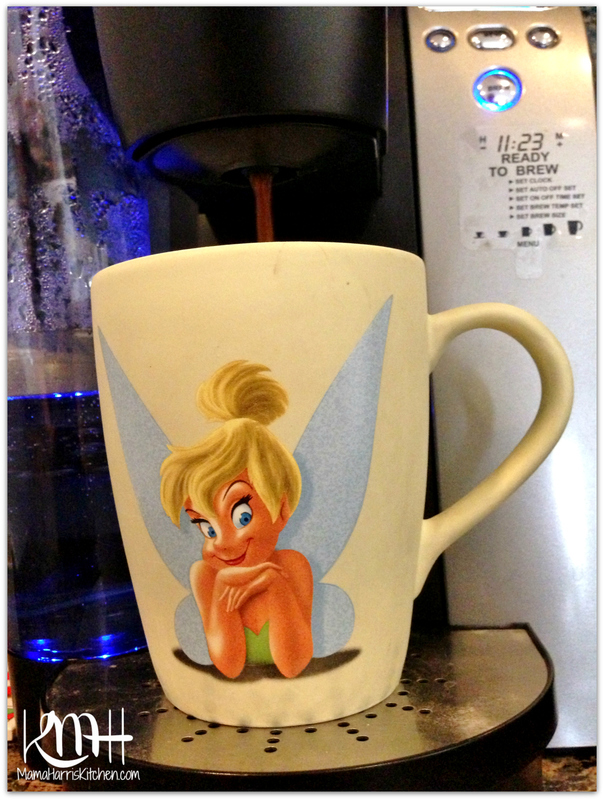 (Totally off topic, but isn’t Tinkerbell adorable? Yes, I’m a fan! Some medium roasts when brewed look like dirty water. I like that the Café Domingo blend still has a deep color and you could tell by the smell there was some richness. Once I tasted it, I knew this coffee was different. Even though it’s medium roast there’s bold flavor, but it’s rounded out with that clean finish. I definitely enjoyed this flavor, and I’ve already finished all 10 pods! So I have to admit, when I first received my shipment I knew which one I wanted to try and I knew which one Big G would prefer. He’s not an everyday coffee drinker like I am, but when he does have a cup he enjoys his coffee a bit stronger than I do and loves a deep roast. 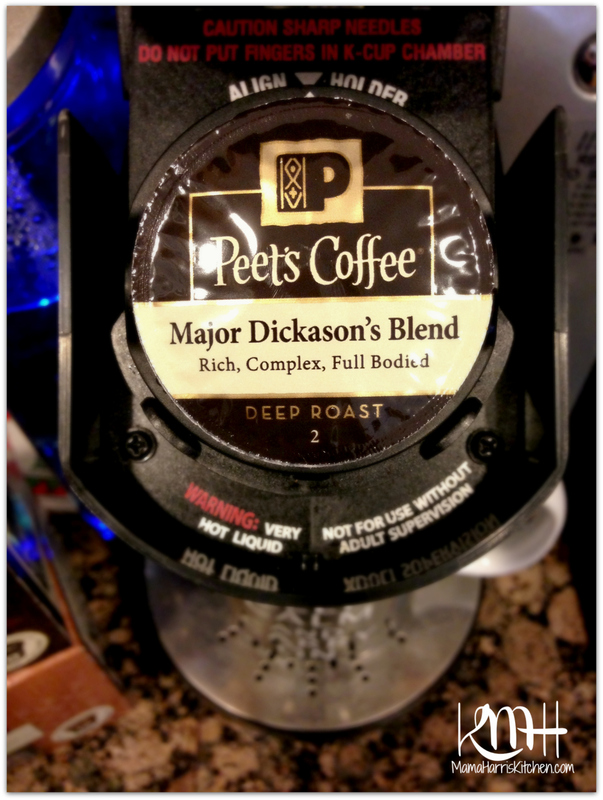 I knew the Major Dickison’s Blend was suited to his tastes. As soon as it started brewing I could tell the difference between the two. While they both smelled great, this was definitely a deeper richer scent that the previous cup I’d brewed. Once brewed this blend was definitely a darker and richer color than the previous brew. Big G drinks his coffee a bit different than I do too. While I prefer mine a nice beige color, and I love my flavored creamer, he prefers a bit of sweetener and either half and half or milk. He enjoyed his cup. I could tell, because he drank it all. Since he doesn’t drink coffee too often, if he doesn’t like it he won’t finish it. His comments were that it was definitely rich in flavor, and he could taste the depth and the multiple layers. He’s had a few cups of this so I think it’s a winner. I was definitely impressed with the Peet’s Single Cups, and I’m looking forward to exploring some of their other flavors as well. I also look forward to Peet’s carrying additional flavors in single cups, including Arabian-Mocha Java, Sumatra and Café Solano topping the list. 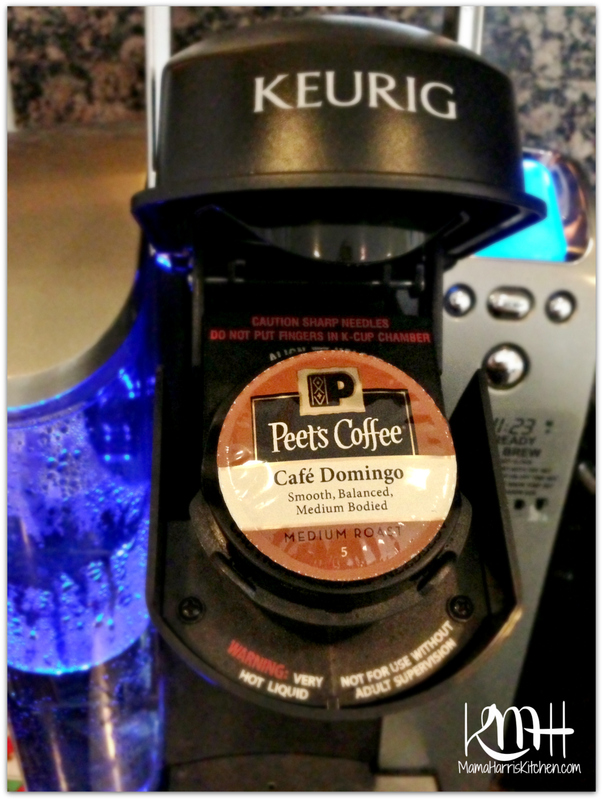 What are your favorite Peet’s Coffee flavors and have you tried their Single Cups yet? 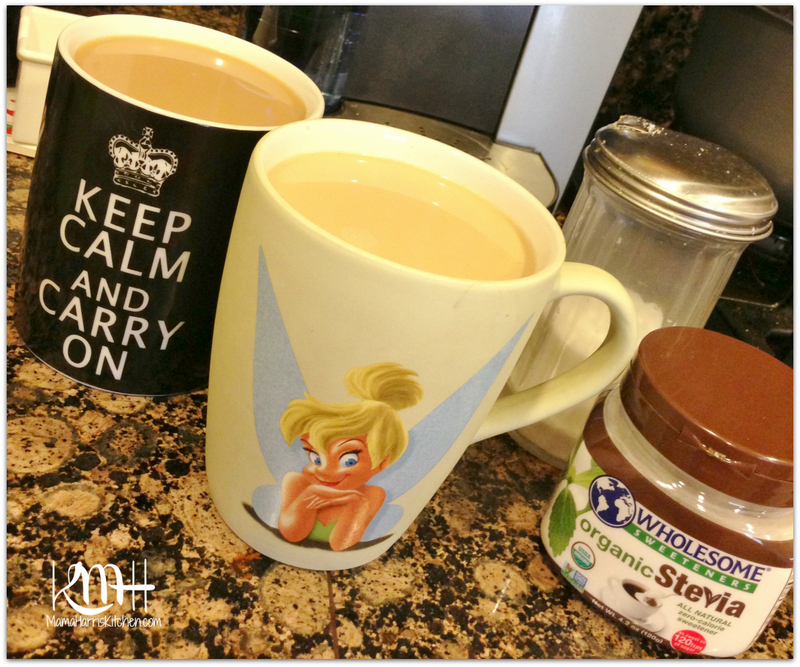 Gevalia Iced Coffee with Almond Milk – A Delicious Treat!